Yuletide: a time for indulging on delicious treats, festive food and wonderful wines. This Christmas we have them all wrapped up together, in the form of our delicious Luxury Christmas Wine Hamper and Yuletide Delight. This is your last chance to win one of our exquisite hampers before Christmas, so whether you’re after that one last present, or simply want some naughty treats to share with the family, try your chances and enter today! Jam-packed with festive goodies, this luxurious wine hamper’s main attraction is its award winning wines. If you’re partial to a fruity Australian Shiraz or a zesty Chenin Blanc, this hamper is definitely for you. Of course you’ll need some delicious food to go with that, but look no further; Brandy Christmas Pudding, Cottage Delight Lemon Curd and Chocolaterie Diane White Chocolate Pralines are all nestled inside this brimming heavenly hamper. Click here to check out the full contents of the Luxury Christmas Wine Hamper. Enjoy the rich, smooth Spanish Tempranillo that takes centre stage in this hamper. It can be perfectly paired with Cottage Delight Smoked Salmon Paté and Cairnsmhor Parmesan & Pepper Savoury Oatcakes for a pre-Christmas treat. If you want to leave a snack for Santa, our White Chocolate & Raspberry Cookies will tempt him down your chimney. You’ll find the Fresh Ground Breakfast Coffee a winner for keeping you awake after your early Christmas start. Click here to check out the full contents of the Yuletide Delight. Complete your entry by leaving a blog post comment explaining why you deserve either the Luxury Christmas Wine Hamper or the Yuletide Delight. The competition will close at 12 noon on Monday 21st December 2015. One winner will be selected for each hamper. Next Article Be victorious this Valentine’s Day: Win a hamper! Yuletide Delight as l am just out of hospital. I deserve a hamper as much as anyone! I’d love Yuletide Delight cos I like wine made with Tempranillo grapes & I’m not really a white wine drinker. Plus the Goosberry & Sloe Gin Jam and the olives sound amazing! 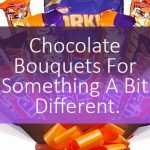 I’d love the yuletide hamper and i deserve it because my kids have been off for a week already with illness from school and are driving me up the wall! I’d love the Yuletide Delight Hamper, it all looks delicious and is wrapped in purple ribbon which is my favourite colour! 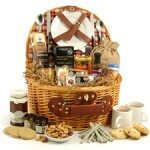 The Yuletide Delight hamper would be great to share with all the family. I would like to say I deserve a hamper for spending the final shopping hours of Christmas collecting for charity (and feeling SO awkward!) in the rain. Instead of getting my life organised! And of course would pick the wine hamper, simply because I always panic about having enough wine! The Luxury Christmas Wine Hamper would get everyone in the mood and would be a fantastic accompaniment to my very hungry brood. I’ve been a veritable ray of sunshine this year, undertaking random acts of kindness to one and all, which has been quite tiring. I’d love to relax & enjoy the feast provided by the Yuletide Delight hamper, definitely a hamper to pamper. Packed full of tasty treats, as a foodie I’m enthralled by the sound of white choc & raspberry cookies, and if they can tempt Santa down our chimney, they’re a must-try delicacy! I’d love the Yuletide Hamper which I’d give to my mum who at aged 79 is so difficult to buy for as she has everything she needs – as for why I should win, someone has to! Merry Christmas. I’d like to win the wine hamper. After a hectic Christmas running around after everyone else, I think I’ll deserve a nice glass of wine and some luxury nibbles! I’d love the Luxury Christmas Wine Hamper because I’m giving up my job in the new year to go it alone and this might be the last time I get a nice treat…..or to eat at all!!! (No, my new job isn’t in drama, but I like to think I’d be able to if it came to it!). Merry Christmas! I would love the Yuletide Hamper as it would be a perfect surprise to give to a friend who has been living abroad for many years – I’m sure that it will keep her in the sunshine mode! With a huge family to feed a hamper is not just a need but a necessity! I would like the Yuletide delight as I have already had enough wine for Christmas at my party this week! I should win as I want to relax and do less over Christmas. The Luxury Christmas Wine Hamper. I’ve had a spell of ill health and I’m back in the Out Patients clinic on 29 December for another procedure. This hamper would cheer me up. Don’t want to give a ‘sob story’, but our year’s been less then fine! We’d give some of the hamper to ‘Shelter’ for the homeless Christmas dinner! Yuletide Delight. I’ve never had a hamper before so this would be great to win. I would love to win the Yuletide Delight Hamper as I would really like to tempt Father Christmas down my chimney! I would love the Luxury Christmas Wine Hamper, it sounds heavenly. I would love to be able to indulge my guests over the Festive season with this hamper. Luxury Christmas Wine hamper would be my choice. I would love to give it to my husband. This is the first year when we can concentrate more on each other rather than our children who have now grown. I’m getting the excited Christmas tummy again. wouldn’t say I deserve it over anyone else, but I want to win as much as them. the Yuletide Delight looks great with many delicious treats. I deserve a hamper because I would like to treat my partner who has spent most of 2015 recovering from a broken kneecap after an accidental fall. It has been a long year (for us both!) and I would love to try the Luxury Christmas Wine Hamper as I am intrigued by the different combinations of the foods in the hamper, paired with the wines. 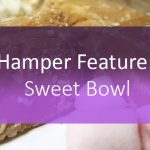 I deserve a hamper because it has been a tough few years with my chronic illness but this year I have gone back to college and hoping to train as a midwife. It is a real struggle as I am so tired all the time but I am determined! Luxury Christmas Wine Hamper for my wine enthusiastic family! I love either of them, they are both so lovely. I would love to win one although can’t give a reason why I deserve it. I’m sure there are many who deserve it more. I’d love to win the Yuletide Delight for my family. We’ve had a lot of bad luck and ill health this year, as well as money being very tight, so we’ve really had to tone down our Christmas celebrations to a minimum. This would help to get us in the festive spirit! I’d love the yuletide delight hamper. I dont think I deserve it more than anyone else but I have had an awful year losing my aunty and godmother suddenly and then 3 months later my step dad. Sadly both these people acted as carers for my older sister and with them gone things have been difficult as she lives away so have spent a lot of time driving back and forth to try and keep things sorted for her too. She is coming to us for Christmas so hopefully we can relax for a couple of days and just chill. Yuletide Delight please, because it has some yummy savoury snacks in it to give us a break from all the sweet stuff! And I deserve it because I’ve been a good girl this year, haven’t I, Santa? Id love to win the wine hamper as it has lots to share amongst my family who are always so supportive. Id love to show my appreciation. 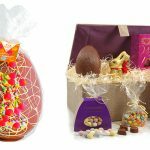 I would love either hamper, I would give it to my mum, she deserves it. The wine hamper please just because it’s Christmas and would love to tuck into some yummy goodies! The luxury wine hamper would be lovely. I would give it to my dad who appreciates a good bottle of wine after. It would be lovely to give him this treat as a thank you for helping me sort out my garden. I’d love the Yuletide hamper because I always forget to buy wine! Do I deserve it? Well you’d have to ask my other half that. I am definitely less deserving than some, deserve this because money is tight, and I can’t afford all the luxuries for my family, so this would give our Christmas a wow factor, and I could share it with my wonderful neighbour too. Yuletide delight would be the one for us. 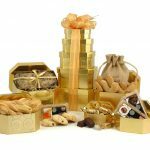 I think I deserve the Yuletide Delight hamper because I want to surprise my elderly neighbours with delivering some little treats and then enjoy some more at home with my Fiance. I picked the Yuletide because the selection seemed more inspiring and unusual. I would like the wine hamper please. We love wine and the cajun spiced nuts are calling out to me. I’m not sure I deserve to win more than anyone else though. Its been a tough old month for most of my family, and to celebrate we are all gathering round mine for a big christmas lunch, which is a rarity for us! This would be the perfect thing to celebrate with, and end the year on a good note! I’d love to win the Yuletide Delight hamper because I have a big family and they would love to share it with me. The Spanish Tempranillo hamper sounds amazing and very tempting indeed. I’d love the Yuletide Delight Hamper for my mom, after my sister left a few days ago she’s been down in the dumps and needs cheering up. I think I deserve to win the Luxury Christmas Wine Hamper because I like wine and good food, like trying new things and all my family would like something from the hamper. I’d love the Yuletide Delight Hamper, as it sounds lovely! I would love Luxury Christmas Wine Hamper for my Mum, she luvs her wine!!!!!!! I’d like the Yuletide delight hamper as I’ve never had a Christmas hamper before and this looks delicious, I would share it with my family and Santa. This would be a great prize. Entertaining around 12 people over Christmas. Fingers crossed…..this would be so helpful. Luxury wine hamper please, I am cooking for 14 on the big day so it would be great to sit down after it is all done and have a lovely glass of wine. thanks. I deserve a hamper because I have been so good this year. I want to win this for my parents. They deserve it for putting up with my face once again as due to health reason I had to move back home! I deserve the Wine Hamper because, as usual, I’ve had to do all the family preparations for Christmas by myself. Just to cap everything off, the car decided to break down this week too, so I need something to cheer me up! It’s been a hard year, but I’m not ure that I deserve it over anyone else who has had a hard year as well!! As for which box, I would prefer the Yuletide Delight as I’m not a massive wine drinker so I think the Wine hamper would be a bit wasted on me! I’d love the wine hamper – mainly because it’s got wine in it! Can’t go wrong. I’ve wanted a hamper for Christmas for years, but all my heavy hints have gone unnoticed! I’d like to win the Luxury Christmas Wine Hamper – as to why I deserve it well like everyone else who will enter I’ve been rushing around trying to make sure my family have a great Christmas and if I won this they wouldn’t notice anything I’ve forgotten or overlooked and I could have a guilt free Christmas for once! I’d really love to win the Yuletide delight hamper. I deserve it because I always buy presents for all the family, cook, decorate, etc. and they never remember to get me a present in return. I would love to win this for my Hubby who deserves a treat. The wine hamper, it looks very appealing and I am sure the contents will be well received by my family this Christmas. I would love Luxury Christmas Wine Hamper for my Mum because she loves her glass of wine in the evening and I love her! My mum would love the yuletide delight hamper, and she deserves a treat because she’s always doing so much for everyone else so i’d love to give her this. I would love Luxury Christmas Wine Hamper I deserve to win as I have done all the Christmas shopping, all the decorating and I will do all the cooking on the big day! The Yuletide Delight hamper looks very appealing with it’s cherry brandy liqueur truffles, breakfast coffee, shortbread and much more. I would appreciate the opportunity to sample and share with family. I have worked hard this year, spending a huge amount of time working away, and Christmas means quality time with my family, and getting to spoil them. I would love to win the Luxury Christmas Wine Hamper to share with them all. I’d love to win the Yuletide Delight hamper and I deserve it because I’ve been really, really good this year Santa… honest! I’d prefer the Yuletide Delight Hamper as it looks to be filled with an interesting and tasty mix of goodies. 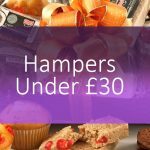 I think I deserve this Hamper as it’s been a busy year and I’ve increased my business turnover brilliantly this year and deserve a little treat! I would love the Yuletide hamper and I think I deserve it because I’ve had a rough few months with illness and if i won, i’d get my friends around so we can have a girly night in and enjoy the treats. This hamper would really make our Christmas. Last year the hamper we ordered arrived too late for Christmas so it was a bit of a disaster! Yuletide Delight because I like red wine. I’d share it with the family. I deserve a Christmas hamper but my parents deserve it more for all their support and the way they have worked relentlessly despite being nearly 70 to decorate my sisters bungalow so she can now move into suitable accommodation. I’d love the Luxury Christmas Wine Hamper – white wine, white chocolate pralines and lemon curd – seriously, what more does a girl need! I would choose the Yuletide Delight Hamper and it has the bonus of 5 medal winning treats inside.The fruity spiced pickle sounds wonderful.I have never actually had a Hamper before so this would make a real Christmas treat for my husband,son and myself to try. The Luxury Christmas Wine Hamper would be an amazing treat from Santa, as I have been very good this year. The Yuletide hamper. I don’t particularly deserve one but I would love to win one for my mum who does. If I win I’d love the Yuletide Hamper please. I’m still struggling to prepare for Christmas, last Wednesday the builders finally finished my kitchen and dining room and it’s a race to get it ready for the family coming home. Haven’t finished food or gift shopping yet and panic is setting in! A Hamper will bring us the treats I’m bound to forget in the rush. I’m totally not ready for Christmas this year, a hamper would be a real boost for me. I’d like the Yuletide delight hamper – it has lots of savoury goodies in it, and I can’t eat sweet foods – the cookies would be for Santa (aka my husband)! I deserve a treat because I’ll be spending Christmas day on my own this year. I’d really love the Yuletide Delight as I rarely drink, so don’t want lots of wine. The Luxury Christmas Wine Hamper is my choice please, I’m not sure I deserve it, but for putting up with me for many years, I know a man who does ! Yuletide delight, just the sort of indulgence at Christmas that my family and friends deserve. I don’t suppose I deserve to win anymore than anyone else but would love to win the Yuletide Hamper. I’d love the Luxury Christmas Wines Hamper because I have no clue about wine but if I won this I’d be sure I was serving my guests something special and lovely! I’d love to win Yuletide Delight and I deserve to win it no more than anyone else, so maybe give it to me for being so modest . . . ? Luxury Christmas Wine Hamper, I would love to win for my mother in law for upbringing the best guy in the world – my husband. I’d love to try the Yuletide Delight. I did an experiment this year to see how little I could spend on food and drink. As you can imagine that means it was a year without buying any treats, so it would be amazing to win some!. The Yuletide Hamper would be fantastic as we are hosting several guests over Christmas and this would have something to suit everyone. I deserve to win because i have been on a diet for a long time and deserve to treat myself for once!!! I would love the Yuletide Delight to give to my step daughter who works extremely hard not only with her beauty business but bringing up 3 gorgeous little ones! I would love the Yuletide Treat hamper, I want to take it to my daughters on christmas day to treat her as she is has all the family there for breakfast and opening presents and then makes christmas dinner. That’s for 15 of us this year. I don’t deserve a hamper. I know they didn’t ‘pick’ me. And that they’re stuck with me. They’ve done so much for me. Of course I have said thank you. Both from afar and near. And now it’s nearly christmas. I’ve bought them gifts of course. Because they deserve much more. I would love the Luxury Christmas Wine Hamper for my parents. Who have been so helpful this year. I would love the Luxury Christmas Wine Hamper because its been a challenging year and I need to relax in style! Winning a hamper would make Christmas even more festive for all my family. I’d love the Luxury Christmas Wine Hamper as I like everything in it. luxury christmas wine hamper to give to my brother whos a bit of a connoiseur! I would love the Yuletide Delight. I am very nearly about to give birth so this would be a lovely treat for when the baby is here! 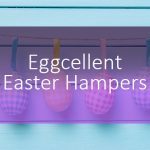 I’d love to win the hamper because I love the look of the goodies inside and my kids think I am wasting my time trying to win a hamper. I’d love the Christmas Wine Hamper. I’d love the Luxury Christmas Wine Hamper, it’s full of my favourite things and I’d share it with my family to give us the Christmas we’d love! I don’t think I deserve more than any one else but I’ve worked hard this year and it would be a lovely way to end it! 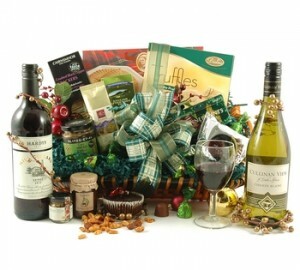 Well I would gift it to my lovely Dad who has not been well this year, I think he’d like the Yuletide hamper the best! I would love to win the Yuletide delight as it is full of things I love including the Tempranillo wine and I have worked very hard this year helping out more than usual as my husband has had heart surgery. I deserve the hamper as I am 8 months pregnant and starting to feel really uncomfortable. I would pick the wine hamper so I could indulge in some wine after having 9 months of not tasting it! Would bring a smile to my face the whole year. I deserve to win as I would share it with my family and we could have a good shindig together. We are both working night over christmas the Luxury Christmas Wine Hamper looks nice to come to. Yuletide delight is the one for me. Perfectly filled with all the extra treats i could do with this year as both sets of parents will be joining us for Christmas! I would love the Yuletide Hamper. I’m due to give birth in the next few days and this would help replace all those delicious things I’ve been missing out on while pregnant – especially wine and pate – delicious! wine hamper – why don’t I deserve it ? Yuletide Delight – I’d love to give it to my mum because she has cooked me Christmas dinner for every year of my life and deserves a treat! I like Yuletide delight. I deserve this as I am going up to visit my parents for Xmas and my dad has just had a hip replacement. He is a big foodie and would love this hamper. Luxury Christmas Wine Hamper and I deserve it because I have had a truly lame year and I would like to get sufficiently drunk to forget about everything at the expense of somebody else’s wallet for a change! Who doesn’t deserve a little festive treat for Christmas. I would love to win the wine hamper. I don’t deserve it over anyone else – it just looks lovely and it’s something I could never afford. I have my elderly poorly mum here for Christmas and I think it would be a lovely pick me up and I just wish everyone could have one. Thank you for doing this. would love to win the luxury Christmas wine hamper. Both me and hubby been working hard at our new jobs this year and would love a luxury treat for Christmas. I’d love the wine hamper as it would be lovely to have wonderful wines at a family get together. The Luxury Christmas Wine Hamper. I don’t deserve it at all but my husband does as he has had a horrible year. My faith in human nature is shattered (on his behalf). I would love to win it for my husband who is really difficult to buy presents for and he loves wine or just being treated. Would LOVE the Yuletide Delight Hamper, please, as I am teetotal and it only has one bottle of wine which my husband would enjoy over a few evenings. He is currently only working two days a week so the goodies in this hamper would really mean something and be such a treat for us to share. Thank you. The wine hamper, because I’ve never had a hamper before and i love wine, perfect reason! I probably don’t ‘deserve’ a hamper any more than the next person does…..but I’d really really like one. I haven’t done anything awful this year, in fact I’ve actually been quite good and when there was trouble it was only small trouble…and I did say sorry (and meant it). I’d very much like the Luxury Christmas Wine Hamper because drinking wine and eating cookies is an excellent way of staying out of trouble. Thanks. I’d like to win the Yuletide hamper – lots of delicious goodies which I could share with my family over the Christmas period.Merry Christmas and good luck to everyone else trying to win this lovely prize! I would love the yuletide hamper, mainly because I like wine and chocolate!!!! I’d love the Luxury Christmas Wine Hamper so I can gift it to my mum for being amazing this year. She’ll be cooking us all xmas lunch and expects nothing in return so I’d love to treat her to this so she can indulge all to herself! Oo, the yuletide delight is for me. Im a big fan of tempranillo, especially after a long year chasing after my toddler this would go down a treat. Im pretty sure he and his dad would be more than willing to help me with the white chocolate and raspberry cookies (santa won’t get a look in!). I’d love to win a hamper (the Luxury Christmas Wine Hamper is the one I’d go for!) because I’d share it with my whole family. My dad would go straight for the box of shortbread, my mum would be first in line for the tea & chocolate paralines, my brother would love the cajun spiced nuts and the black pepper crackers, my gran would be delighted to find a pot of lemon curd in the hamper (it’s her biggest weakness!! 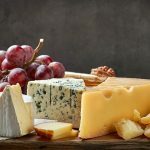 ), my husband would be a happy man once he’d found the ground coffee and after dinner mints, EVERYONE would love the wine…and me, I would love to share the contents of the hamper with all of them. Hampers are always nicer if you share!! I’d love the Yuletide Delight and as I’m hosting Christmas this year (AGAIN!) I think I deserve it – or I certainly will by Boxing Day! The yuletide delight hamper looks great. Who wouldn’t like to be spoilt with good food & wine! I would choose the Wine Hamper to share with all the family when they come to us. It would be perfect, something for everyone. Yuletide Delight would be great – just what an ideal christmas present for my partner would be! I would love to win the Yuletide Delight,not for me but for my wife who is special to me and is my rock in life. I would like the Yuletide Delight because it has coffee, Brazil nuts and Salmon in it. Three of my favourite ingredients. Why do I deserve this hamper well at 60 I do 4 jobs a day, 6 or 7 days a week, just to pay the bills. So I would like something nice to open and enjoy. I’d love the Yuletide Delight – I think I deserve one because I’ve lost over 7 and a half stone and now it’s time to have a treat (or ten) as a reward! Yuletide – oatcakes for cheesey midnight snacks and coffee for early morning starts with kids! I’m hosting Christmas & will have lots of guests to feed & water!! The Luxury Christmas Wine Hamper would be a real treat! I’d like the Yuletide Hamper because I love eating (I am sensible though) and the things in it look like great treats. I would love the Yule delight hamper – for my mum, she is 77years old and looks after me following my breaking my back 15 years ago, she works tirelessly and deserves some extra treats over Christmas, as I cannot get out myself without her this hamper would be amazing. I would live to win the luxury wine hamper to give to my sister who is pretty miserable at the moment after recently separating from her partner. With 3 young children she’s putting on a brave fave for the festive season but I would so love to see her face if I could present her with this lovely prize! Winning this would be the icing on the cake for a very Merry Christmas. What a wonderful present this would be. I would love to win the Wine Hamper, after a bad accident in May and six months on painkillers, I’m finally medication free and can enjoy a glass of wine with family and friends at Christmas. Id love the Yuletide Delight Hamper as a surprise for my daughter as she is in hospital having an operation today. I’d like to give the luxury wine hamper to my old dad who has had a tough year and to see a smile on his face would make christmas indeed. Win this Yuletide Delight would be a dream come true as this year has been full of trails & tabulations. Yuletide Delight sounds yummy! Not much of a drinker. Would love the wine hamper, nice treat for myself. I don’t deserve the Yuletide Delight hamper but my parents do. They are so incredibly supportive of us and I’d love to say thank you with a hamper. I would appreciate winning the Yuletide Delight as I’m what people term a ‘foodie’ and my husband appreciates a drop of the good stuff. I’d love to win the Yuletide Delight because it’s been a hard year away from my family and my boyfriend’s family have been great and I’d love to be able to share this prize with them. I’d love to win the Luxury Christmas Wine Hamper for my sister as she’s always been there for me and she deserves a lovely treat. I am flat out broke this year so was unable to buy the fam any presents, I would love to bring all these goodies to xmas dinner. Love the Luxury Christmas Wine Hamper as it’s full of Christmas things and wine. I think I deserve it as me and my partner never treat ourselves but always save! I would like to give the Yuletide Delight hamper to my Mum for supporting me. I would love to win the Luxury Christmas Wine Hamper as all my family love to drink wine and the variety in this hamper would cater for us all! Great prize, thanks so much. The Yuletide Delight hamper sounds great and contains some goodies I would love to try. I deserve it, because i have very good friends to share it with. Luxury Christmas Wine Hamper treats would fit perfectly to us. It’s Owesome Christmas gift hampers. Halal Hamper House also offering Christmas gift hampers in UK. Yuletide Suprise sounds great. We have had a difficult year, and an operation has left us short of cash, so this would really pick up the Festive Season for us. Thanks. The Yuletide Delight hamper looks lovely. I think I deserve it because I selflessly bought my other half an amazing chocolate hamper for Christmas and if the pillow-shaped package is anything to go by, he’s bought me a pillow. I think a lovely hamper would improve my mood considerably, plus this looks better than the hamper I got him so I wouldn’t even feel jealous that I’d got him nice chocolates. I would love to win the Yuletide Delight hamper. I would love to give it to my daughter who is facing loosing her house after Christmas. It would really make a difference to her Christmas. I would love the Luxury Christmas Wine Hamper! we have been saving so hard for our wedding in a few months and really deserve a nice treat! I’d love the wine hamper. It looks wonderful. I don’t suppose I deserve the hamper more than anyone else but it would be awesome to win. We have been overwhelmed with work and domestic crises hence no time to go shopping. The Yuletide Delight hamper could transform Christmas Day when a succession of relatives and friends are hoping to be fed! I don’t deserve to win the hamper any more than the next person. We all have problems in life, but I am not going to give you a sob story about illness and bad fortune in order to win the prize. If you want the hamper to go to the most deserving, then give it away to a charity who can use it to raise money. Having had my moan, I will now say that if you choose me to win anyway, because you choose at random rather than by the biggest sob story of who deserves it, then I would choose the wine hamper. I promise I’ve been very good this year! I would like to treat and share the Luxury Christmas Wine Hamper with my family on Christmas Day. The wine hamper looks amazing. Going to meet my gf’s parents for the first time on Xmas morning, would be nice to wow them with something as nice as this. I believe I deserve this because since September I’ve been working seriously hard at college and that sooner or later deserve some kind of reward. I would like The Luxury Christmas Wine Hamper, I feel i am deserving as I am a real trier in all I do and love fine food and drink, that’s why I have selected this hamper. The Yuletide hamper would be excellent please. Unfortunately I have had to work fulltime this Xmas and have not had time to get anything ready for Christmas so this would be excellent. Then I can just concentrate on looking after and having fun with my children and hubby. I’d love the Yuletide Delight hamper – I’m not a big drinker, and the contents look fantastic! I am a lover of good food and both hampers look like they would meet that need of mine. I would love the Yuletide delight hamper as I think theres a few more things in this one that my children would also enjoy. My cats used to love playing in your Christmas Hamper boxes after we had eaten all the food but they died this year after battling old age for many years. Winning a hamper would bring back such happy memories of them and bring joy to my children who miss them so much. I’d love the Yuletide Delight because it would be perfect to share with my family. I deserve it because I was in a car crash last month and am getting over a broken leg. This would really cheer me up. I’d love to win the Luxury Christmas Wine Hamper because each year I host the family for a New Year’s day dinner for a dozen people. As the young ones are now all over 18 that’s a lot of wine to find, so the Hamper would help with that and would provide a lovely dessert too! I’d love to win a hamper . I am not sure I deserve it but I know that my family does. They have been nothing but a rock for me and I am a pain so would love to treat them with the Yuletide Delight hamper 🙂 Go on make our Christmas magical! I’d like the Yuletide Delight as it sounds delicious, I think I deserve to win because I have worked hard this year and I have been very, very good! I’d love the wine hamper to give to my sister in law. It would make Christmas for her and her family. Wine hamper please as I love all of the contents and I deserve it as I work hard. because I could do with chilling out with some good food as I have been so busy recently ! THe Luxury Christmas Wine Hamper would be great! I deserve the hamper as I have just had a terrible cold, and this would cheer me up! Luxury Christmas Wine Hamper please – because its been a long year – well over 300 days so far !! Yuletide delight, perfect to bring home to family. Just left home can’t wait to return back for Christmas. I’d prefer the Luxury Christmas Wine Hamper because I like the stuff inside of it compared to the other one. I deserve to win because my family has had a bad year and could use some Yuletide cheer. To prove to my wife and kids that people do win competiotions…..and this time ; its’ me!! Both look very tempting however I’d opt for the Luxury Christmas Wine Hamper as I love the Chenin Blanc and looking at the contents side by side this one had more chocolate! Difficult to think of a reason for why I Deserve it more than anyone else, after all there will be many in a worse situation than me, thinking especially of all those in Cumbria, however I am on Santas good list! I would like to think that my wife & I deserve this because our last 4 Christmases have been AWFUL! Last year, we were really ill & missed the whole damned thing! Whist I know and have tasted plenty of dark chocolate mints, tangy lemon curd, and Cajun spiced nuts (although not medal award winning) I know nothing about wine. I am assuming the Luxury Christmas Wine Hamper will have been put together by people which is a bonus. I would love to win the wine hamper, I’ve had such a stressful week at work and this would be amazing! Yuletide Delight would be love, I don’t deserve it but it would be really nice to share with the family! The luxury christmas wine hamper would be lovely & I would give this to my super amazing parents for helping me out so much, it is really appreciated!! I’d love to win the Luxury Christmas Wine Hamper. I have been very good this year but I’d share it with friends and family who really do deserve for being just great people! I would like the Yuletide Delight – because it has more variety. A fantastic hamper & prize . If i won i would give it to my friend for her and her family to enjoy. .She is not very well off .A perfect gift to lift her spirit. The Yuletide Delight sounds wonderful as I will need my morning coffee on Christmas morning when my little ones have me up at 4! The Yuletide hamper – there’s a few more things in that one that we really like! Luxury Christmas Wine Hamper would mean that there is something for everybody when the whole family descends. You had me at paté and parmesan! I prefer savoury to sweet. I was so excited, I forgot to say Yuletide Delight in my earlier comment! After a year of health problems, I would love to win the Luxury Christmas Wine Hamper to share with the family and raise a glass to “good health” for all. I deserve to win because I have tried so hard to be strong this year when my heart was broken. Wine hamper please. The luxury wine hamper. I would like to share it with my family. I would like the Yuletide Delight as I would share this with family. I’d like to win the Luxury Christmas Hamper because I’d like to give it to my mum as it has all of her favourite things. I would choose the Yuletide Delight hamper, I’m very partial to smoked salmon and those pancakes sound delicious. They both look brilliant -they both look amazing but the wine would be my choice! I’d love to win the Luxury Christmas Wine Hamper for my parents as they are big wine drinkers (in a non-alcoholic way!!!) & would love it. I think I deserve the hamper because I would share the hamper with my family over christmas. We love trying new foods and enjoying good food when we can so this would be perfect. Also my other half and myseld don’t buy presents for each other as we like to spend what we can on the kids so this would be a lovely treat for us both. The Yuletide delight would be my choice. I deserve a hamper because I’ve made several important promises this year which I’ve kept and I would love it to be the Luxury Christmas Wine Hamper. I deserve a hamper because I’ve made several important promises this year which I’ve kept. I would love to win the Yuletide delight hamper to give to my mum. She’s been a great help over the past few months that have been difficult and this would be a great way to show her I appreciate her. I chose this particular hamper as I think she would enjoy the Spanish twist to it and she deserves the luxury it has to offer. I would love to take one along to my parents’ house, who really deserve it as they have had me and my 3 children there every single Christmas and they really spoil us all. I would be happy with either as I love the wine in the first one but the goodies in the second appeal to me too! Oh wow i would LOVE to win a hamper because a hamper is something I have always really wanted to receive as a gift but have never been lucky enough to have got one. I am working retail this Christmas and, I tell you, the Luxury Christmas Wine Hamper would make me super grateful and a bit more relaxed at the end of this season! I would love to win the Yuletude Delight Hamper. Its been an extremely hard year, my hubbt has been and is still unwell, finally going to investigated at the hospital later this month. It would mean the world to win this and for the two of us to share this together. I would love the Yuletide Delight hamper, it’s so luxurious and there is something for everyone. I would love to win the Luxury Christmas Wine Hamper because I feel i deserve a glass of wine after having a baby this year. I would like the Luxury Christmas Wine Hamper. 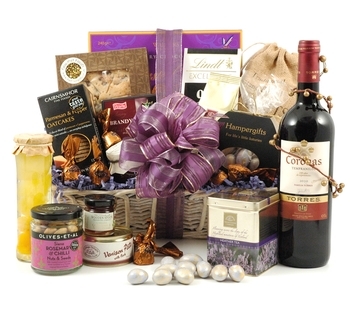 I think I deserve this hamper as I am a carer for my husband’s dad who has dementia and at times this can be hard. It would be great to have something nice for me and my husband to sit down and enjoy together. I need the wine hamper to give away as presents as I have been made redundant and have no funds. i’d love the Luxury Christmas Hamper to share when Mum comes to stay with us! Prefer Yuletide Delight because we can share lot of it with our children (it is Christmas after all) and deserve a hamper as we have just moved into our house and exhausted from painting walls, buying furniture and rearranging and emptying lots of boxes. It’s been a tough year… would like to win the Luxury Christmas Wine Hamper please. We stocked our fridge and freezer ready for our first Christmas together in 17 years of being married as in the past we haven’t spent Christmas at home together due to being in the army. Last week the fridge freezer broke so we lost all the food. We had to buy a new fridge so it would be great to win so we can have a good Christmas. Either one would be brilliant as we are abroad until 24th December so will not have time for shopping and this would make a fantastic gift for my step-daughter who has invited my husband and me to lunch on Christmas Day. Luxury Christmas Wine Hamper – it has everything that I would love to eat & drink.